I’m your guide, Mike Kinney. 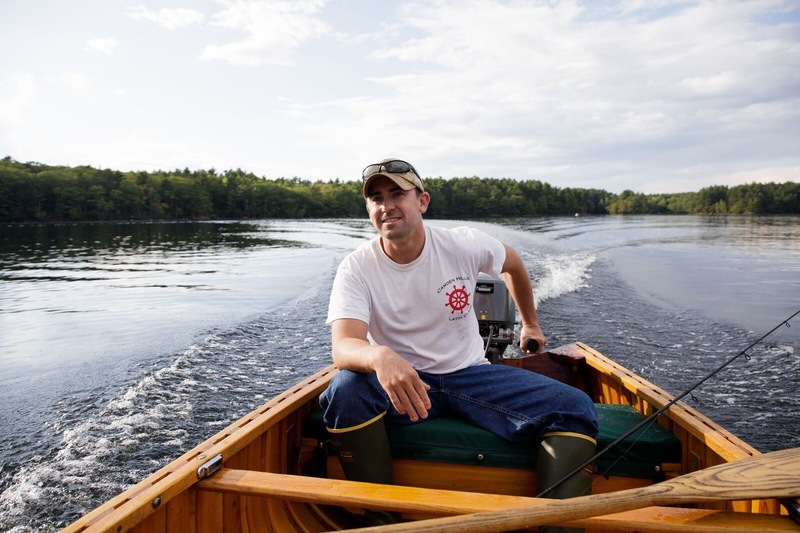 I offer fishing and canoeing trips in Midcoast and Northern Maine. My goal is to help you make lasting memories in the outdoors. While I love to put guests on big fish, I understand that there is more to a quality outdoor adventure than just catching fish. I treat every trip as an opportunity for client and guide to learn something new about Maine’s woods and waters. I began guiding in college while working for a sporting camp in Northern Maine. I spent my winters studying Latin and Greek at school and my summers casting flies for brook trout. After college, I took a job teaching high school Latin in Midcoast Maine. I’m happy to have settled in a beautiful area with a variety of fish species to catch. Now, I split my time teaching Latin, chasing fish in the spring and summer, and hunting ducks, geese and deer in the fall.